Les Bernal, the National Director of Stop Predatory Gambling, discusses the real costs and benefits of state lotteries and other forms of legalize gambling. Thanks for joining us this week for Family Policy Matters. The debate over state-sponsored gambling has reared its ugly head in North Carolina again; as the State Lottery Commission is considering a proposal that would bring interactive, online gambling to every home computer, work computer, smartphone and mobile device in the state. So, just how beneficial and harmful is state-sanctioned gambling? Today, we’ll be discussing this question and taking a closer look at the real costs and benefits of state lotteries and other forms of legalized gambling. Our guest today is Les Bernal, National Director of Stop Predatory Gambling, a national non-profit organization that brings together a diverse group of interested parties from across the political spectrum who believe that gambling—and particularly state-sponsored gambling—exploits the American people and causes a myriad of harms to our society and our government. Les, welcome back to Family Policy Matters. It’s great to have you on the show again. LES BERNAL: Thank you. I’m honored to be on. JOHN RUSTIN: Les, as we begin our conversation, let’s talk about that reality in dollars and cents, when it comes to state-sponsored gambling. Often, gambling is sold as a cash-cow revenue stream for important and popular budget items, for example, education. That was the hook used here in North Carolina to get the state lottery passed in 2005. But once a state begins relying on gambling dollars to fund these “worthy causes,” what kind of posture does the state usually take toward gambling? LES BERNAL: There’s one overarching theme when it comes to how the state approaches gambling. This is true for North Carolina and it’s true for every state. And that is, the objective is to maximize profits, not to benefit the people of North Carolina. For average North Carolina citizens, you pay even if you don’t play. The North Carolina lottery has been a spectacular failure and it deserves to be phased out in the years ahead. JOHN RUSTIN: How do you respond to those who argue that gambling is a personal decision that those who don’t want to gamble don’t have to gamble and really, nobody is harmed except maybe the individual and the families that lose money gambling? LES BERNAL: Sure. There’s two things that I’d say. The first is, for all the non-gamblers in North Carolina, you’re paying for this. This is a huge rip-off scheme that is ripping off, not just the people that are playing state lottery games, but it’s ripping off the non-gamblers, because you, the non-gambler, are paying higher taxes for less services. Over the long-term, consistently, lottery revenues don’t keep up with government spending. The best research in the country has been done by the State University of New York at Albany. It’s called the Rockefeller Institute; they’re independent, […] they just look at gambling revenues state by state and consistently, it showed that over the long-term, public revenues from gambling, they worsen state budget problems. So the idea that in North Carolina, your state lottery revenues are making a meaningful contribution and improving education in the state…. What state-sanctioned gambling is, in no uncertain terms, is it’s the ultimate budget gimmick. It’s the ultimate budget gimmick. And so, the idea that somehow getting citizens in the state to lose their paychecks, to lose their savings on these rigged games that are financially dangerous—and dangerous to them from a public health perspective because they’re so addictive—the idea that somehow there’s a public benefit to that, underscores how dishonest and rigged our lottery system is. It’s been a huge public policy failure in the state. JOHN RUSTIN: And we see more and more pervasive advertising for the state lottery on television, radio and elsewhere, and the State Lottery has been pushing—and some members of the General Assembly for that matter—have been pushing a significant increase in the portion of the state lottery budget that could be used for advertising, that would essentially double the advertising budget from $20 million a year to $40 million a year, and just to continue to further enticing citizens to gamble. Now Les, there are many forms of legalized gambling across our nation today. In years of working on these issues as you have done, do you find that there are certain social and economic effects that are common to all forms of gambling, whether it’s privately operated or publicly operated or publically sanctioned like the state lottery, or other forms of gambling that we see across the nation? LES BERNAL: There’s one word I would leave your listeners with and it applies to all the aspects of the impacts is this: the word is “dangerous.” When you’re involved in gambling for profit in any kind of frequency, it is a dangerous habit— extremely dangerous. It’s dangerous to you as an individual; it’s dangerous to your family; and it’s dangerous to the community. And it’s dangerous because it’s financially dangerous; You can lose an enormous amount of money—sometimes all of your money and go into debt because of it. It’s dangerous to your health; it’s a highly addictive enterprise. That’s why you and I can’t go run our own gambling establishment. It’s not like some free market/free enterprise type of situation. The state lottery— as well as the casino in Western Carolina that Harrahs run—it’s a monopoly. This is “crony capitalism” in its purest form. So, it’s dangerous from an economic standpoint because it tilts your economy. All the regular businesses in North Carolina, they’re not getting a monopoly in their business; they compete every day to gain customers and build a profit and pay their employees. From an economic standpoint, it tilts the economic field if you will—the playing field—in favor of gambling interests. JOHN RUSTIN: Les, as you know, North Carolina lawmakers recently reviewed a report from the General Assembly’s Program Evaluation Division that was to evaluate whether the state lottery, and I quote, is “providing the maximum benefit to the State.” However, the report noted in just one sentence that the Program Evaluation Division was not charged with determining the “social impacts of the NC Lottery.” How can a fair and honest evaluation of the lottery be conducted without considering the social and economic costs, and based on your experience—and you’ve spoken to some of these already—but what are those costs likely to be for the state? LES BERNAL: What you just outlined, John, is the big idea here: that the objective of North Carolina has always been to maximize profits to the people that run the games, not to benefit the public interests of the people of North Carolina. So, the idea that they wouldn’t look at how state-sponsored gambling—particularly bring in online gambling, which will open up virtually an online casino in every bedroom, every dorm room, every office, every smartphone in the state—that they wouldn’t look at how dangerous that is to individuals and their families and to communities, it underscores that this is a completely out of control and failed public policy in the state. So, the impacts quickly are: it’s financially dangerous, as I said earlier; online gambling is highly addictive to citizens who get involved with it; and thirdly it’s dangerous to all the taxpayers who end up subsidizing this whole rip-off scheme. They end up paying higher taxes for less services, so it’s the ultimate budget gimmick. JOHN RUSTIN: And some of those services that are required, related to gambling addiction, those people who have become problem or pathological gamblers, the research for years and years has shown very close correlations to gambling addiction and increases in crime, theft, domestic violence, child abuse, divorce, embezzlement, bankruptcy, and even suicide. And so, when you consider the social costs and the required expenditures of state funds to service people who are caught up in gambling addictions, and their families and those who are impacted, employers etcetera that are impacted by this, the social costs can be enormous. 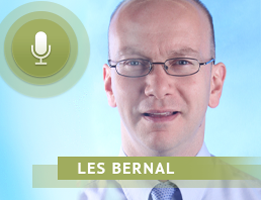 LES BERNAL: It’s really dangerous. All those things you mentioned, the domestic violence it causes, the divorce, the harm to kids, this is a dangerous thing that North Carolina Legislature is pushing on to people of the state and it doesn’t benefit the people; it only benefits a very privileged few. I can’t urge your listeners enough, when they think about things they care about and they want to talk to their legislators about to reform in the state of North Carolina, this has to be right at the top of the list. JOHN RUSTIN: And we’re right in that situation now, Les, because the North Carolina Lottery Commission is considering a significant expansion into interactive online gambling, as I mentioned at the onset of our program. These are games referred to as “iLottery” or “Digital Instants” like Digital Instant scratch-off tickets. What do the members of our State Lottery Commission and our state legislators need to know? Are there particularly harmful effects of interactive, online video gambling, especially when you consider people can engage in these forms of gambling without even leaving their homes? LES BERNAL: Think about people who can sit in front of their computer in North Carolina—and you’ve got kids who can sign on to their tablets or iPads or other kinds of devices—think how much time grandchildren or kids are on their devices. The idea that you have state government encouraging people to sign on as a government program to do online gambling games, virtually playing every few seconds an online slot machine they call them—the term you used was on-line scratch-off ticket, I think that’s the term they use—that is the ultimate euphemism. What they’re talking about is a scratch ticket that is so-called played online is the equivalent of online slots. That’s what it is; it’s an online slot machine. So, the idea that you’re going to encourage citizens to play an online slot machine, it absolutely goes against the public interest. There’s no public benefit here whatsoever. And I urge the legislature to dramatically change course. Anyone serious about improving the lives of ordinary citizens, it does not include forcing Internet gambling into people’s homes. There’s no grassroots movement for this. The people of North Carolina aren’t pounding the table saying, “I want an online casino in my home, or on my kid’s smartphone.” This is being driven by very powerful special interests, the ultimate form of crony capitalism in your state for the benefit of a privileged few, at the expense of everybody else. JOHN RUSTIN: No doubt about that. And again we’re at the cusp of some major decisions related to that. We actually testified recently before the Oversight Committee at the State legislature, encouraging members of the General Assembly to contact the members of the State Lottery Commission to express their concerns about it. And I want to encourage citizens across the state to do exactly what you have said, to get involved, to get engaged, to express their opposition to this. What do you find are the most effective ways the public can fight these efforts and hold back the gambling interests that are pressing so hard to gain more of a foothold? LES BERNAL: I think the most important thing is that citizens need to put this at the top of their agenda. It’s easy to say that most people in North Carolina, they don’t like the fact that government is doing this. A lot of people just say, “Well, it seems so powerful. How can I make an impact?” If you really want to make a meaningful impact on your state, there are few issues that will be more impactful than getting the state to stop sanctioning these extreme forms of gambling. It will improve the financial condition for all your citizens if you get the state to stop doing this. Calling on them to stop promoting these extreme forms of gambling, it improves people financially; it improves the health of your state; and it improves the state’s financial picture, which allows the state to get back to what it’s supposed to be doing and doing things that benefit common state purpose, improve people’s lives, not to rip people off. JOHN RUSTIN: Les, as we end our conversation today, where can our listeners go to learn more about the dangers, the harms, and the costs associated with gambling, as well as the great work of Stop Predatory Gambling? LES BERNAL: Our website is stoppredatorygambling.org and we’d love to have your listeners signup and get involved with our work. North Carolina will always be a top priority of ours because there’s a great movement in this state against this. JOHN RUSTIN: Thank you, Les, and we’re so grateful for the partnership that we have with you and Stop Predatory Gambling. Let me mention that website once again, it’s stoppredatorygambling.org. 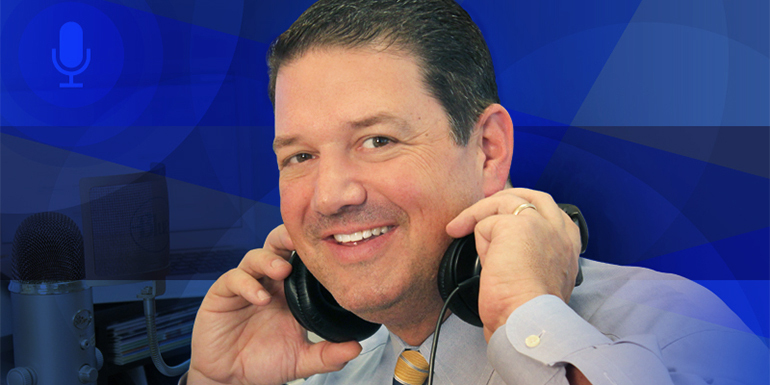 Les has some great information there that will help to equip you, our listeners, to go out and fight this fight. We’re grateful for all the work that folks across the state do as they engage in this. And with that, Les Bernal, I want to thank you so much for being with us on Family Policy Matters, and for your great work in educating and advocating for truth and for decency in our government operations, especially as it relates to gambling.